Brandon's FOCUS Update: Welcome Week 2018! You may not have realized it, but you were a part of being the hands and feet of Jesus on college campuses the past couple of weeks. Your prayers and encouragements and financial investments made it possible for us to send out hundreds of missionaries onto these campuses for Welcome Week. At UTD, we hosted 12 events in 12 days (and attended a bunch of others!) to welcome new freshmen and transfer students to campus. Our student leaders and staff met SO MANY PEOPLE at events like Field Day, board games, Zombie Tag, a pool party, United Worship, our FNF Kickoff, and many more. They're busy getting all these new people connected to cores and one-on-one Bible studies. 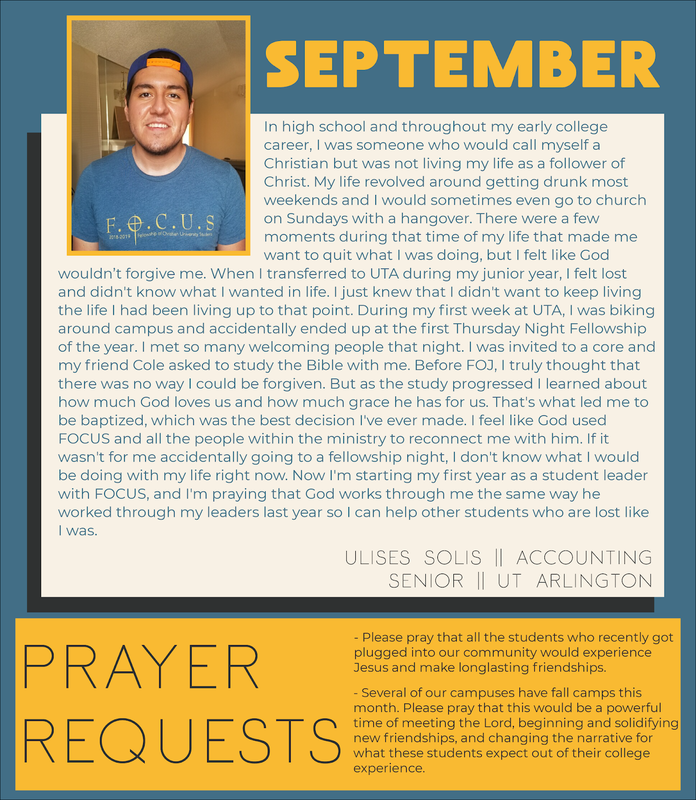 Please pray for lots of "yes" answers to their invitations--this will determine how fruitful our year will be as it continues. This story illustrates why we do what we do during Welcome Week. UTA had their first meeting outdoors, which allowed students just passing by to join in! I met a new freshman at one event who was telling me how sad and lonely he'd been since moving in 3 days before. 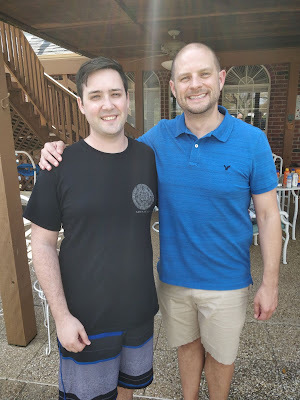 I introduced him to just one student leader, and now he's involved in a core, hanging out with a bunch of Christian guys consistently, and playing intramural football with some guys from the ministry. One of our women leaders, a UTD senior, went back to a new freshman's dorm with her after our first Friday night meeting. There were pictures hanging everywhere of friends and family back home. When asked if looking at them made her sad, she said it probably would have if it wasn't for the new friends she'd made through FOCUS. Another girl who isn't a Christian visited our first FNF because she was invited. She came bounding up to the girl who invited her afterward saying "This wasn't what I expected!" She was blown away by how vulnerable and transparent the community is. Coming from a generation that hungers for authenticity, this was a powerful statement. She's intrigued and wants to learn more. I could tell story after story after story like these. There are literally hundreds of them, and even I only get to see a small slice of all that goes on. Thank you for helping make it happen! The UTD FOCUS staff hosted about 34 ministers from nearly all the different campus ministries at UTD for a reception in August. The unity among these ministers is so encouraging, and it's only growing! We estimate that about 85% of the ministries were represented. 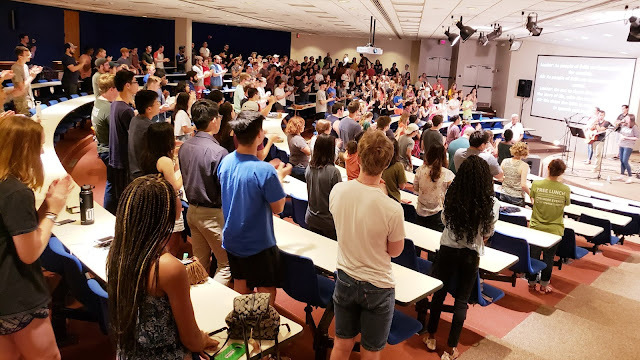 The night before classes began at UTD, we hosted a United Worship night with the other campus ministries. It was a great chance to showcase spiritual life on campus to new students and communicate that we are partners not competitors.